Social posts flicker out of existence almost as soon as they appear. Content teams move from post to post, often missing the big picture of what’s working and what’s not, leaving significant unrealized potential. The problem for teams using legacy social media management platforms is two-fold: it’s impossible calculate the overall impact of any given piece of content, and as a result you can’t take action on it. 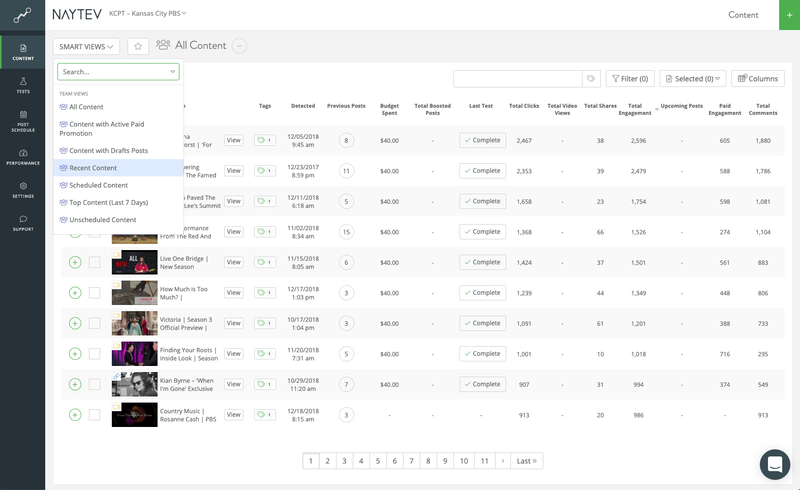 Finally, there is a solution: actionable data from every social network, across organic social posts and paid social campaigns, all in one unified social management platform. For the first time ever, Naytev makes it possible for your content team to have a single centralized view of performance on social. 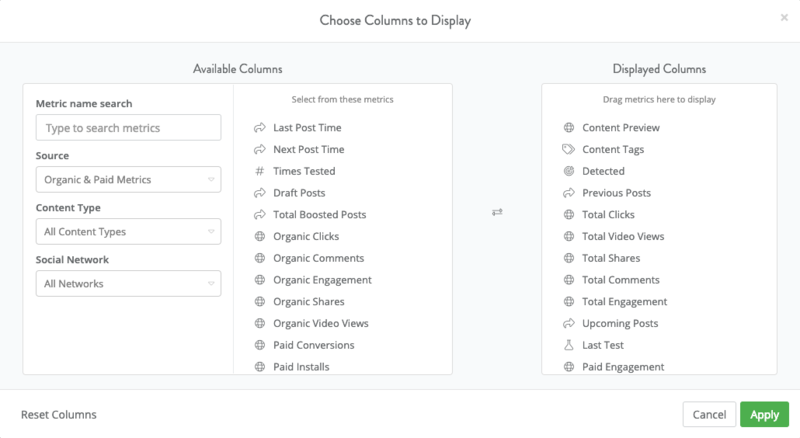 You can create unlimited, customizable displays that allow you to choose the content and metrics that matter. Roll up paid and organic social data into simple sums like “Total Engagement” or “Total Shares”. Your top performing links, videos, and images from the past week, ready for bulk intelligent recirculation or to be cross-posted to another social handle or network. Understand the total performance and effective ROI of any given piece of content, spanning multiple boost and A/B testing paid campaigns. The new Content view is the beating heart of Naytev: a centralized place for surfacing content and taking action. It’s the next evolution in delivering a “Content First” experience for social media management, and it’s live and ready to use today.